Your future employer is looking for skill mastery. What does that mean? Everyone agrees that education is important. It reduces poverty, helps social mobility, and helps us to change the world we live in. What you learn creates a strong foundation that you can and should continue to build on throughout your career. But what makes some graduates stand out from the rest? The answer is skill mastery—the ability to do something extraordinarily well. Knowledge is great, but mastery is better. Mastery is highly sought after and valued by employers and is seen as a sign of motivation and determination to succeed. 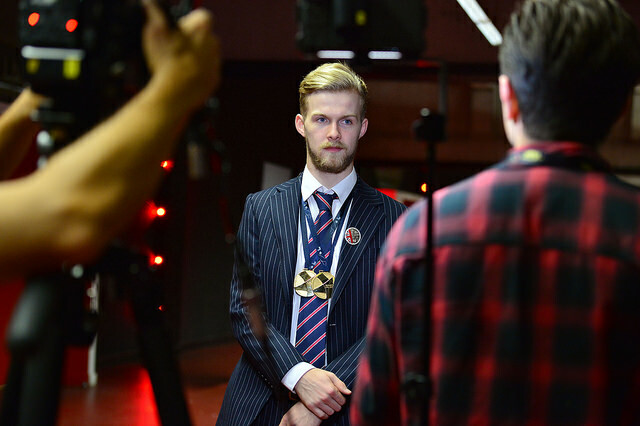 Andrew Beel joined the WorldSkills competition as a way to boost his skill mastery and gain recognition for his knowledge. Andrew Beel understands the power and advantages that mastery brings. He started his path just like most of his peers—by going to college, taking classes, and passing the exams necessary to graduate. Then, one of his professors introduced him to WorldSkills, an international organization with a mission to promote and recognize skilled people and show how important skill mastery is in achieving economic growth and personal success. WorldSkills runs global skill competitions, which sounded fun to Beel, and he figured it would be a nice addition to his résumé. Team UK EuroSkills Lille 2014 Closing Ceremony. 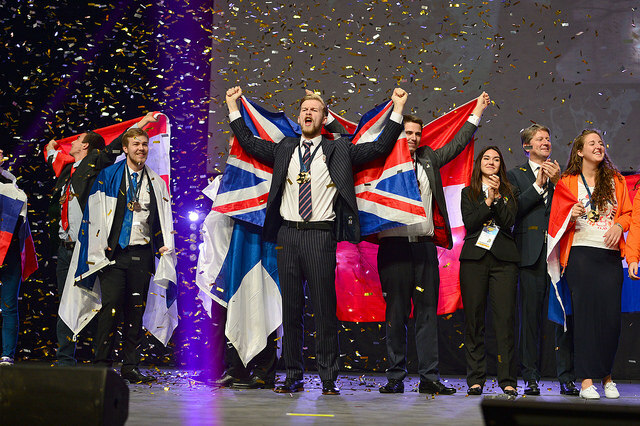 Beel impressed the competition judges and went on to become the UK national champion, European Gold Medalist and World Medallion of Excellence winner for the Mechanical Engineering CAD skill mastery at the WorldSkills championships, as well as the Best in Nation winner at EuroSkills. Becoming an Autodesk Student Expert also helped Beel cultivate his skills and gain confidence when presenting his work. “I was invited on multiple occasions to present to industry leaders at Autodesk University. I talked about my competition experiences and showcased some of my projects,” said Beel. 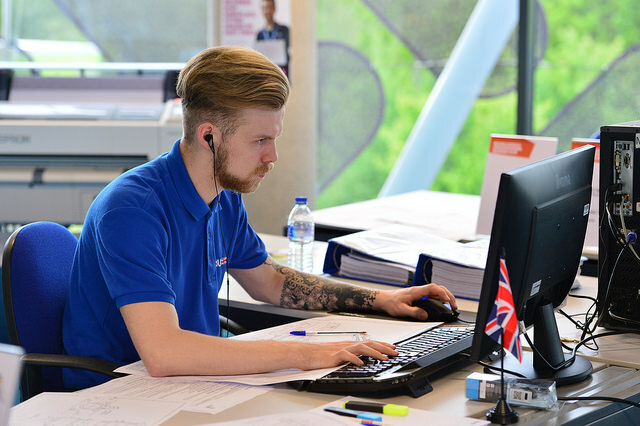 Andrew attributes much of his Autodesk product knowledge to his years training and competing at WorldSkills events and from opportunities offered to him as an Autodesk Student Expert. Beel is now a mechanical designer at Pacson Valves in Dundee, Scotland, and firmly believes that skill mastery gave him the competitive edge needed to secure his position. 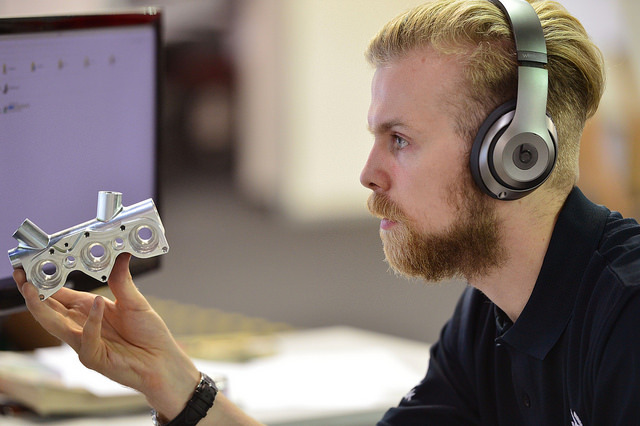 In his four years as a professional, he’s worked his way up from trainee draughtsman to mechanical designer. He attributes much of his Autodesk product knowledge to his years training and competing at WorldSkills events and from taking advantage of the learning opportunities offered to him as an Autodesk Student Expert. His skill mastery has led him to become the Autodesk software expert within his team at work, and he helps train others when they have product-specific questions. He even developed standard CAD practices for the engineering team that have improved the efficiency and accuracy of the entire department. Beel also validates his skills through the certification exams. Having certification helped prove his mastery as a student and continues to help him validate his skills as a working professional. Inspired to take the next step towards skill mastery? Become an Autodesk Student Expert. Student Experts are active fans of Autodesk technology who are passionate about design and engineering. You’ll be eligible for invitations to exclusive Autodesk events, technical pilot/beta projects, and training workshops. Take a course on Design Academy. Take a self-guided course to learn core design principles and Autodesk product skills. Get certified in Autodesk products. Become an Autodesk Certified User to get an official industry certification in Autodesk software. The WorldSkills competition is the biggest vocational education and skills event in the world. Get a chance to compete with students like Andrew, who took his skills and recognition to the next level.